So, readers roll on to the list and go through all the ideas for decoration. Let’s welcome winters with our arms spread. This is one perfect way make use of spare wine glasses which gives a bell that winters have arrived at your doorstep. Attractive candle holders that are up on market shelves will make your home look amazing. 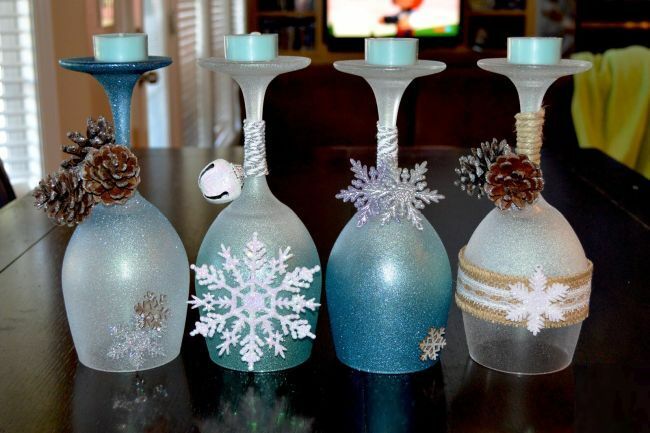 Simply use some use some decorative materials like glitters, spray paints, pine cones, bells and snow flakes to add bloom to the wine glasses. This wonderland candle holder can be perfectly put either on coffee table or on dining table. Winter is all about adding coziness to the house whether it is a living room or a bedroom. So, pull off the fall colours and add some soft pillows, cushions, blankets and heavy curtains with a fox fur to give a warm and luxurious look to your bedroom. This will keep the warmth inside and protect you from cruel winter winds. Give your living room a white them. Paint your walls and wrap the living room with white walls, sofa, curtains or a lamp to spread the goodness, purity, positive feeling, freshness and cleanliness. The textured wall and pillows in knitted appearance promise to make your home a cozy and warm habitat. For more decoration on center table you can also place pinecones of white colour. Spread area rugs, carpets, floorcloths in your home. Decorating your home with mats, floorcloth and carpets will grace your house with a complete finishing touch. As walking on floors in winters becomes uneasy so try matting it with cool rugs to add warmth and elegance to the home. Do you have a fireplace in your home? If yes, then you are lucky and have got the nice opportunity to decorate it. Use some candles instead of firing with logs. Placing candles will impart coziness in the atmosphere. 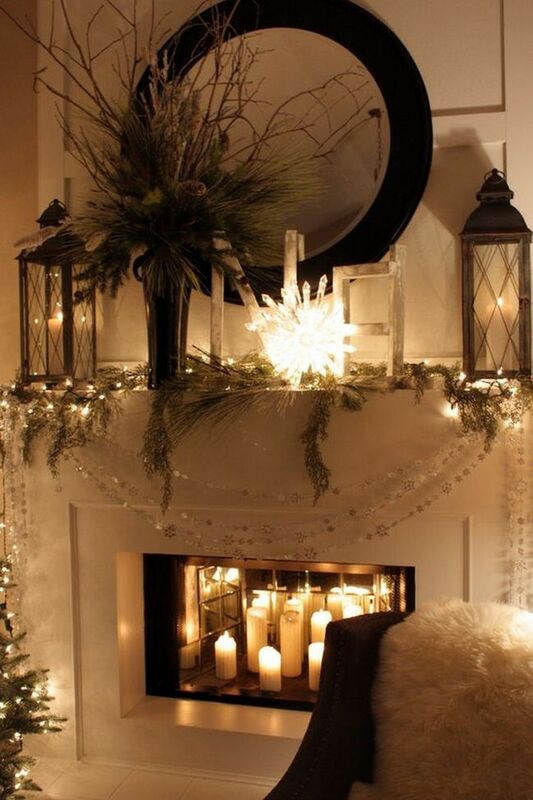 Decorate the hearth with some strings and place the lanterns over the top. This will give a little retro feeling. You can also place some grass, branches in the flower pot and lit a sparkling light. If your living room is small then do place a mirror it will reflect the image. So, pull your sofas near the hearth this will give a warm welcome to your guest. These painted jars sitting on the corner table or center table are sure to give your home an elegant look. 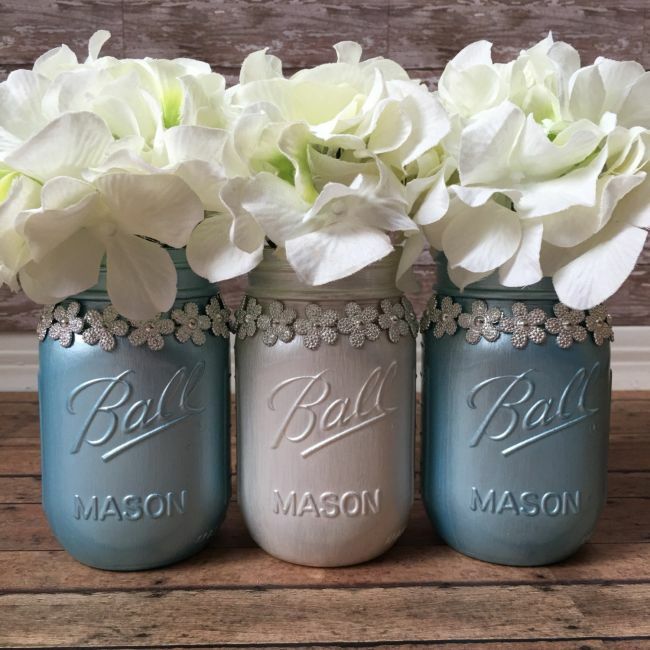 You can use spare jars or glass jars and paint them with attractive colors, write different letters or simply place some fresh flowers, use them in the kitchen for putting kitchen cutlery in them; they are sure to look cool. 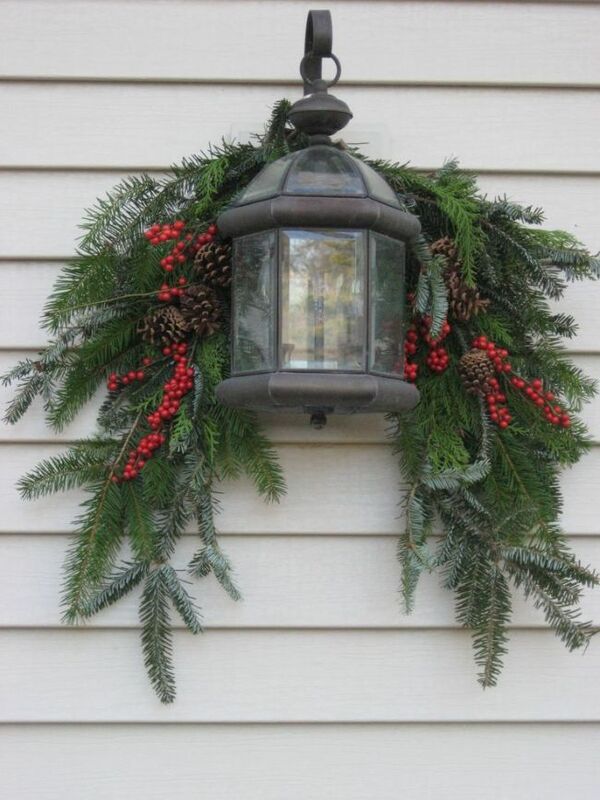 Use old lantern and decorate it with birch branches, place the pinecones and add cherries. Want to try out some other things to make it look all the more appealing. Go ahead! It is quite important to grace your balcony or sit-out area. 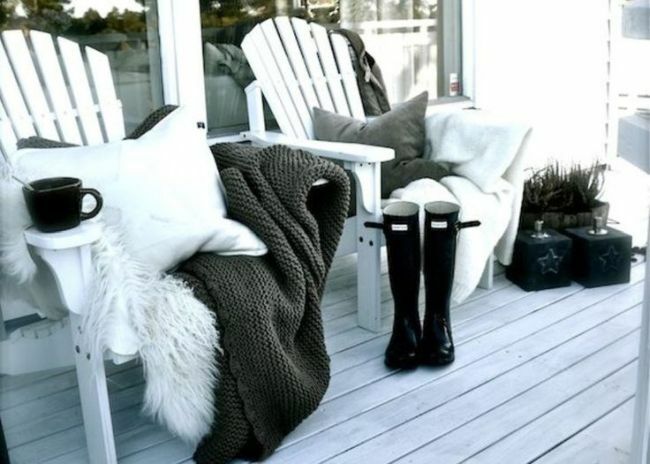 Use some chairs, add the throws and pillows to cozy up the place and enjoy your favourite beverage. You can also place little things here and there as per your choice. With this, I come to an end of the list of best decorating ideas to decorate and cozy up your home during winters. There indeed is no dearth of decoration ideas but then we have pulled out best for you all. This article probably covers all your house areas. You can also use some aroma sticks or cinnamon stick to spread the aroma around. Have more ideas to add to the list? Drop in your comments to let us know!